It’s graduation season — a time of the year for celebrating the completion of educational milestones and moving forward to the next adventure. Pursuing college, an advanced degree or any form of career training can be a daunting challenge, especially when you consider the financial burdens placed on many who choose that path. And then there’s the challenge of figuring out which career path to pursue. For most, combining your passions with a career objective is the most inspired approach. And for those with passion for the underwater world, a broad spectrum of career paths beckons. 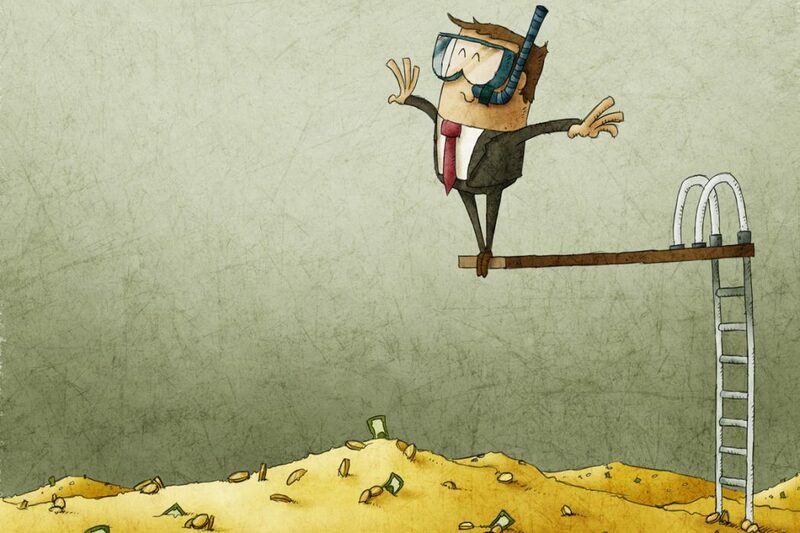 Wouldn’t it be great if we could find a job that provides us with an opportunity to dive? There are probably more than a few among us who begin to salivate at the thought of free training or equipment to support our underwater pursuits and advance our career goals. What if we could somehow score free scuba training, a credit towards training or money to perform some form of underwater-related research. As it turns out, such opportunities do exist. Particularly for those who see diving, marine technology or underwater research as a potential career path, a number of scuba scholarships, internship and training grants are available to help launch that pursuit of underwater endeavors. And these can be a wonderful opportunity to leapfrog into your next educational endeavor. So here is a sampling of organizations providing scuba scholarships, internships and grants to deserving individuals who see scuba as more than simply a recreational pursuit. The AUAS is an international, multi-disciplinary, nonprofit organization that recognizes pioneers and leaders who have had a global impact on the exploration, enjoyment, safety and preservation of the underwater world. Each year, the AUAS presents their prestigious NOGI awards to individuals for their contributions to the world of diving. Considered the “Oscars of Diving,” NOGI awards are given in several categories including Arts (filmmaking, painters, sculptors and other artists); Distinguished Service (both recognized and little-known achievers); Environment (scientists, advocates, lobbyists, fundraisers); Science (explorers, inventors, doctors, scientists) and Sports/Education (outstanding athletes and educators). In addition to recognizing stellar contributions to diving, the AUAS also offers scholarships to help others on their road to greatness in diving. Their Zale Parry Scholarship is valued at $6,000 per recipient and includes up to $500 in travel expenses. The AUAS/DAN Diving Medicine Research Scholarship was established by the AUAS to encourage research on topics that expand the body of knowledge of human physiology in the marine environment. Open to holders of a PhD, MD, DO or Master’s degree, recipients can receive research awards up to $10,000 per year. Additional details are available at auas-nogi.org. The American Academy of Underwater Sciences is an organization that supports diving as a research tool by colleges and universities, government agencies, museums and aquaria, environmental and archaeological consulting firms and community science groups. Chartered in California in 1983, the goals of the organization include development of standards for the training and certification of scientific diving, the operation of scientific diving programs and monitoring of scientific diver health and safety statistics. With 130 organizational members and more than 1,100 individual members, the AAUS also conducts annual symposia and workshops and directly supports student research. The AAUS also offers generous scholarships in the form of research awards and general support awards. Research awards range from $1,500 to $3,000 and are offered to AAUS student or full time members. The general support awards include an $800 travel award for students to attend AAUS scientific meetings. Their Hollis Gear Award is for AAUS student members engaged in or planning a research project in which diving is or will be a principal research tool. Up to two awards are offered annually and are valued at $1,200 per recipient — $1,000 in Hollis diving equipment plus $250 for training or academic diving travel costs. Visit aaus.org for more details. Beneath the Sea is a nonprofit, volunteer, membership organization dedicated to providing continuing education to the recreational diver community, educating the public with regards to protection of the ocean environment, as well as supporting ocean and environment related projects and charities. Each year in March, the Beneath the Sea Exhibition is hosted in the New Jersey/New York area and is billed as the largest consumer scuba and dive travel show in the country. Beneath the Sea also offers a spectrum of scholarships for those interested in marine careers. For 2018, Beneath the Sea offered no fewer than 14 scholarships funded by Beneath the Sea as well as other organizations, corporations and partners. The value of these scholarships ranges upwards from $500 to a $1,000 or more. While most require applicants to complete an application, others require an essay to be written and submitted for consideration. Many are targeted at college-aged applicants but others are targeted at high-school aged individuals with a budding interest in scuba diving. Among the scholarships available is a Maritime Career Scholarship for those interested in a career in such fields as marine engineering, marine transportation, global business and transportation, marine technology/small vessel operations and other related fields. A Recreational/Public Safety Diver Medic Technician (RDMT) scholarship is available for those interested in pursuing further education in the field of dive medicine. The Sea of Tomorrow scholarship is offered for study in a recognized or accredited program in the fields of marine environmental conservation, biology, ecology, research or training in a diving related program necessary for participation in these fields of endeavors. For those looking for beginning hands-on study in underwater photography, the Art of Underwater Photography scholarship is available. Various scuba scholarships are available for beginner, advanced and specialty training. Additional details on the Beneath the Sea scholarships are available at beneaththesea.org/. Established in 1963, the MTS was founded for the purpose of promoting “awareness, understanding, advancement and application of marine technology.” Its members include those in academia, government and industry, providing a forum for the exchange of information and ideas. The MTS has three primary missions: Facilitate a broader understanding of the relevance of marine technology to wider global issues by enhancing the dissemination of marine technology information; Promote and improve marine technology and related educational programs; Advance the development of the tools and procedures required to explore, study and further the responsible and sustainable use of the oceans. The MTS offers a variety of scholarships to student members of the society who have been accepted into full-time marine-related degree programs with a focus in marine technology, marine engineering and/or marine science. Their current listing includes 10 separate scholarships valued at $1,000 to $8,000 dollars. In addition, the MTS offers a six-week summer intern program for high school students entering their junior or senior year. Through this program, students gain hands-on, science/technology experience, while building important scientific, technical and employment skills under the direction of a workplace mentor. Beyond the invaluable work experience, students also receive a $2,400 stipend upon successful completion of the program. The programs are hosted by corporate sponsors, which for 2017 included such companies as SAIC, Scripps Institution of Oceanography, Unified Port of San Diego, Teledyne RDI, SeaBotix, SonTek, Fugro-Pelagos, InterOcean Systems, Impulse, Hubbs-Sea World Research Institute, NOAA, AUVSI, Sidus Solutions, Merkel and Associates and SeekTech. For more details, visit the Marine Technology society at mtsociety.org. One of the most prestigious scuba scholarships to be found is the Rolex Scholarship offered by the Our World-Underwater Scholarship Society® since 1974. Winners of this award spend a year traveling the world to gain hands-on experience in activities that contribute to a well-rounded education. Through this program, they work with leaders in marine-related fields partaking in endeavors ranging from scientific expeditions, underwater research, field study, laboratory assignments, equipment testing and design, photographic instruction and/or other specialized assignments. Incoming interns are provided with membership in the Explorers Club and engage in a program tailored to meet their individual background and interests. Itineraries may include time with specialists in such areas as biology, archaeology, dive industry-related operations, underwater photography and conservation, but may also include such areas of study as hyperbaric medicine, equipment design and manufacturing, education, marine expeditions, government and policy, tourism, publishing, ecological activism, commercial and research diving. Exposure to a wide range of topics and work environments provides the scholars with a broad overview of the underwater world that will help guide career decisions. Currently three Rolex Scholarships are offered annually: one each for North America, Europe and Australasia. The total value of a Rolex Scholarship is currently capped at $25,000, which covers travel, room and board, plus a stipend for living expenses. Current sponsors include such organizations as the American Academy of Underwater Sciences (AAUS), Bonnier Dive Group, the National Park Service (NPS) and the Reef Environmental Education Foundation (REEF). For more information on this coveted scuba scholarship program, visit the Our World-Underwater Scholarship Society site at owuscholarship.org. If you’re in a Scouting program and interested in diving, you could be eligible to apply for one of the many scuba scholarships available through the Professional Association of Diving Instructors (PADI). Recognizing that adventure is a key element in scouting, PADI offers a multilevel scuba scholarship program to introduce Boy Scouts, Venturers and Sea Scouts to the exciting underwater world. Ten scuba scholarships of $250 each are presented annually as part of their Level 1 scholarship program for scuba certification. This scholarship can be used towards any PADI Course and PADI course materials. Four scuba scholarships of $500 each are presented annually as part of their Level 2 Scholarship program, again with proceeds used towards any PADI Course and PADI course materials. The Level 3 scholarship provides eLearning and an ePacks for five Boy Scout troops. With these awards, an entire troop up to 16 individuals receives the training materials valued at $240 per person. A single Level 4 Scholarship is awarded annually for PADI Open Water Scuba Instructor Certification. The $2,500 can be applied toward Advanced Open Water Diver, Rescue Diver, Divemaster and Instructor Development Courses. The Level 5 Scholarships (five offered) are offered for PADI Instructor Development Materials including Instructor Development Crewpak, Instructor Examination fees and IDC Registration fees. These are valued at $1,800 per scholarship to use in career path development. For more information, contact your scout troop or local PADI dive facility, or visit scouting.org/outdoor-programs/aquatics/. The Women Divers Hall of Fame (WDHOF) is an international nonprofit professional honor society founded in 1999 dedicated to honoring and raising the awareness of the contributions of its members in areas including the arts, science, deep sea exploration, underwater archaeology, medicine, free diving, equipment technology, cave diving, wreck diving, military diving, commercial diving, media, training, education and business. Its member’s roster includes such notable figures in diving as Zale Parry, star of “Sea Hunt,” Dr. Eugenie Clark, also known as the “Shark Lady,” famed underwater explorer and marine biologist Dr. Sylvia Earle and our own esteemed Dive Training editors, Cathryn Castle Garcia (executive editor) and Betty Orr (managing editor). A leader in providing educational, mentorship, financial and career opportunities to the diving community throughout the world, the WDHOF awards an impressive array of yearly scholarships and training grants providing financial and educational support to individuals of all ages, particularly those who are preparing for professional careers that involve diving. While for most awards the applicants must be women, several are open to eligible men as well. 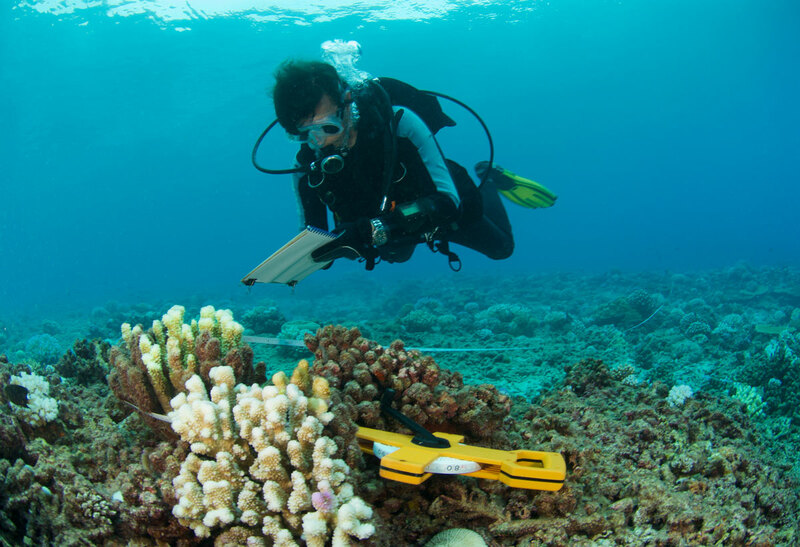 WDHOF offers a host of scholarships in marine conservation, marine biology, underwater archaeology, education (marine or freshwater), dive instructor education and dive medicine and are intended to support independent research and/or internship programs. Scholarships range in value up to $2,000 and are paid or awarded directly to the recipient. For 2018, scholarships included graduate ($2,000) and undergraduate ($750) scholarships for study in the field Underwater Archaeology; a $2,000 scholarship to plan and conduct an education project (science, art, music, literature, entertainment or STEM [science, technology, engineering, math] programs for students in grades K-12) with a focus in marine or freshwater environments; a $1,000 undergraduate Marine Research Internship in marine biology and a $2,000 scuba scholarship for instructor advanced education. WDHOF offers training grants that provide funding for basic, advanced and specialty diving and related underwater training and, for some awards, scuba equipment. Five basic training grants were offered for 2017, with values ranging from $500 to $1,500, some of which were available for scuba equipment purchase. In addition, five advanced dive training grants were offered for such specialties as advanced diver, scientific diving, cave or technical diving. Most of these were valued at $1,000. WDHOF also offered Scuba Leadership Grants sponsored by PADI and NAUI. These $2,500 grants were established for those seeking leadership roles in scuba education and were applicable to training for divemaster, assistant instructor and instructor certification. Finally, a host of specialty dive training grants sponsored by various organizations were offered by WDHOF for such specialty training as commercial diving, public safety diving, medical technician training, hardhat diver training, underwater photography, human factors skills and disabled diver training. Applications for WDHOF scholarships and grants are typically due in October and are awarded the following February. Check out the WDHOF site at wdhof.org and watch for scholarship and grant announcements. Many of the 2018 scuba scholarships, internships and training grants have already been awarded but in just a few months we can expect to hear announcements for the 2019 programs. So now is a great time to get your ducks in a row and start thinking about the applications and essays that could help you score a few dollars for diving. Start early. Scholarship applications often include several requirements. Make sure you give yourself ample time to assemble your application package. Understand the requirements. Apply for only the scholarships whose requirements you can meet. After narrowing your options, make sure your application is complete. Nail the essay. Many scholarships require you to submit an essay, which is a key component of the selection process. Your essay should reflect your personality and should illustrate your passion for your future studies. It should also be free of typos and grammar bugs. Make sure it meets the maximum word count, too, or your entry could be disqualified. Submit on time. Even if your application is perfect, it gets you nothing if you blow the submission deadline. So, You Wanna Be a Dive Pro? While educational scholarships typically offer students cash (or credit) towards tuition, books or student housing, some scuba operations offer internships that allow prospective scuba professionals the opportunity to receive free or discounted scuba instruction and on-the-job training through a work exchange program. For instance, a resort location might offer room and board to divemaster or instructor candidates who commit to working at their dive center for several weeks or months in exchange for training. This type of arrangement can benefit both parties. 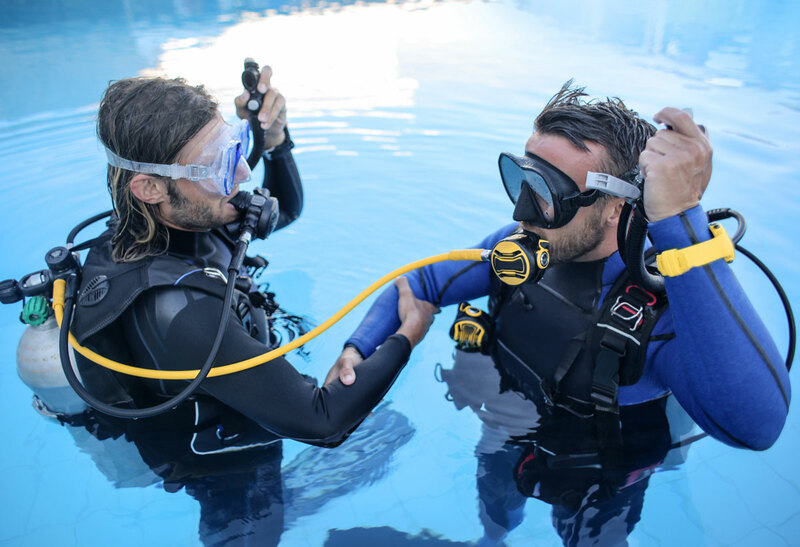 The intern has the opportunity to have his or her training subsidized while also learning the ropes at a dive resort and the resort has the opportunity to train prospective new employees. There can also be drawbacks to this arrangement. Those interested in pursuing scuba training internships should thoroughly understand the terms of the internship agreement, including how much training they are to receive and what costs related to the internship (those such as, housing, meals, training materials, work permits) are paid for by the dive center in exchange for work performed. Some might imagine the life of a divemaster at a tropical resort is one long vacation. Having the chance to experience the daily demands and challenges associated with working as a dive professional helps put one’s career path in perspective. When both parties understand the terms, the scuba internship can be a win-win situation.